Hi everyone! I’m Charlotte, I’m 26 and from Manchester. I work for a supplementary education company helping young people with their maths and English and spend pretty much every minute of my free time browsing charity shops for bargains! A while back, I set up an Instagram account – charityshopgold – to showcase my finds and shortly after, my blog – charitytreasures.blogspot.co.uk – was born. 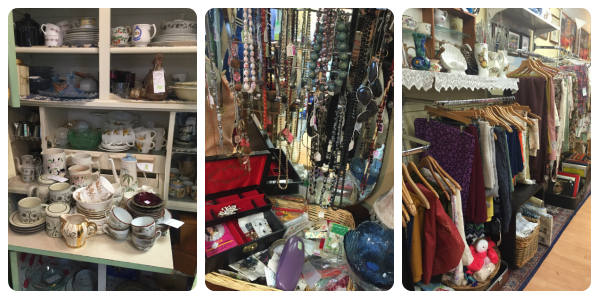 When I saw that Barnardo’s were looking for people to contribute to ‘The Thrift’ with a round-up of some of their Manchester shops, I jumped at the chance to show off some of the wonderful things you can find in a charity shop! In total, I visited six shops between 9am and 5pm and in addition to finding some great items, I met some lovely Barnardo’s staff members and volunteers so a big thank you to everyone who welcomed me into their shops! My first stop was Manchester Central; about 30 seconds walk from Piccadilly train station. This shop is one in only a handful of shops in the city centre so is perfect for visitors to Manchester and ideal for people, like me, who frequently miss their train! The shop is one of my go-to’s when I’m looking for something on-trend as they always have current season pieces at great prices. There’s also an impressive wall of shoes and a jewellery cabinet full of beautiful pieces! From there I went to the Barnardo’s discount shop at Fallowfield Retail Park. I’m always talking about the charity’s discount shops in my blog as I think they’re such an excellent idea. All stock is either £1.99 or 99p and I’ve found some great clothing and bric-a-brac items in them for next to nothing. The Fallowfield shop boasts an impressive collection of books, all at 5 for 99p. I get through about five books a month and buying new would cost about £50. The savings you can make buying second hand books is just incredible! Next, I went to Northenden, which is quite a small unit, but the staff there have really made the most of it. The stock is beautifully displayed and the clothing and bric-a-brac is attractively colour blocked. There was an incredible Topshop coat in the cabinet. 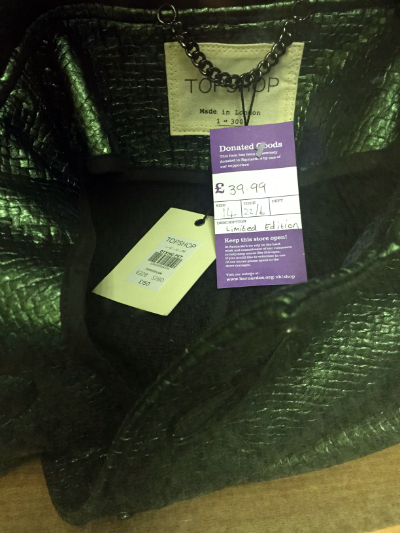 Limited edition, one of only 300 produced, still tagged at £150 and never worn! I also found these great florals from Topshop and Zack London, in addition to a bargain pair of Zara jeans. The Didsbury shop is also beautifully presented and houses some great quality items from brands like Limited Collection at M&S, Boden and Cos all at affordable prices. I was drawn to this patterned Topshop dress, brand new leather-look H&M shorts and strapless leopard print dress. Cheadle high street is home to two Barnardo’s shops – my first stop was another discount shop, which readers of my blog will know that I am always visiting! 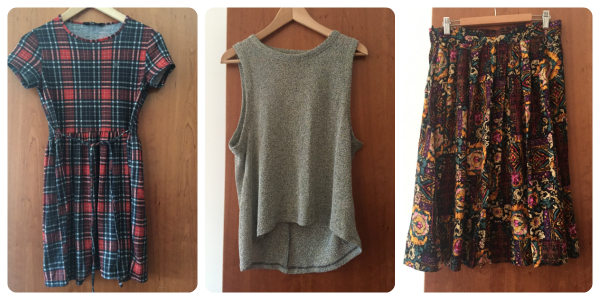 Previous finds include a Comptoir des Cotonniers skirt and a Whistles dress. 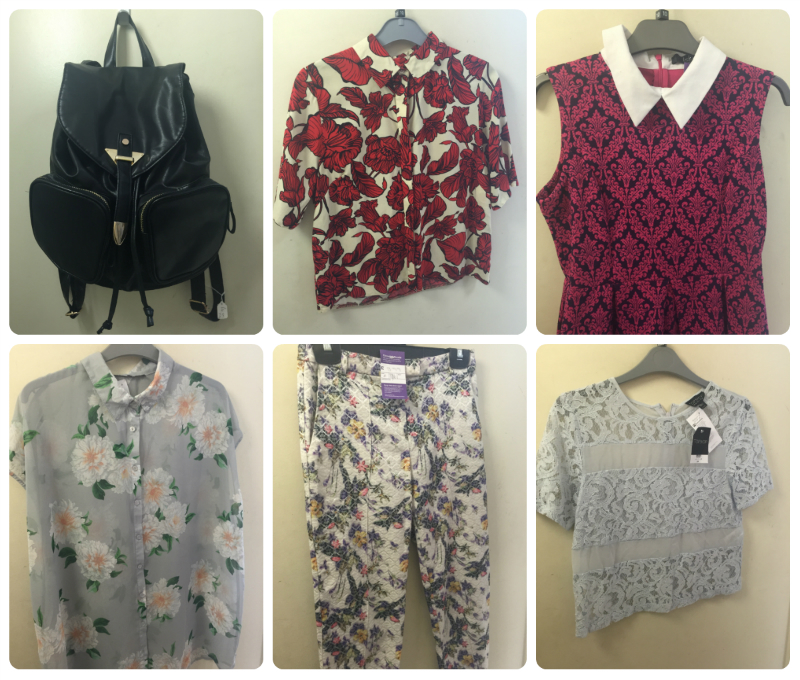 My last haul there was only three weeks ago – these six incredible items only £12! My latest visit did not disappoint – I picked up this checked dress, glittery vest top, crown candleholders and this beautiful vintage skirt. Talking of vintage, Barnardo’s also have a vintage store in Cheadle. The team there aim to make vintage accessible to everyone and at an affordable price, which I think they have done really well. 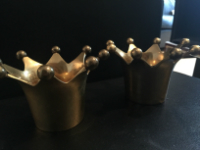 I’m not an avid wearer of vintage but the pieces they stock can be easily worked into a more contemporary wardrobe.